We’re so excited to have these in as they’re useful for so many things! 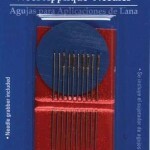 Wonder Clips are great alternatives to pins, especially when working with heavy weight fabrics, piles, and vinyls. 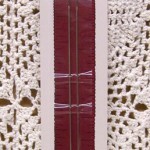 It can hold layered sections of sewing projects such as handle connectors to handbags and piping without distortion. 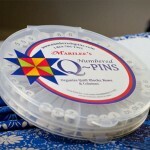 It holds quilt binding while sewing and it’s easy to see and easy to find when dropped on the floor. 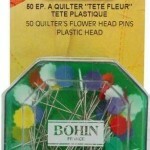 Works well with Sergers. 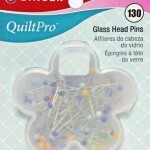 Wonder Clips, great for sewing, quilting, and crafting. Package includes 10 clips. 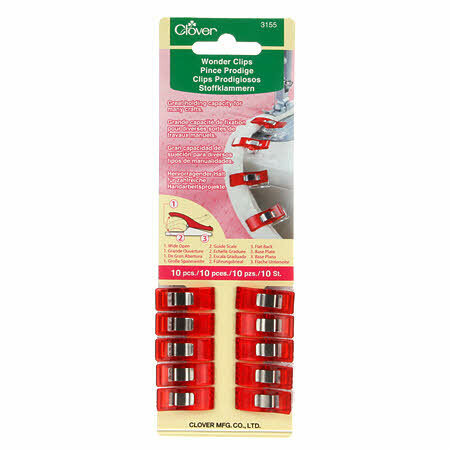 Wonder clips are a great alternative to pins especially when sewing multiple layers. Excellent prompt service – will definitely order again.